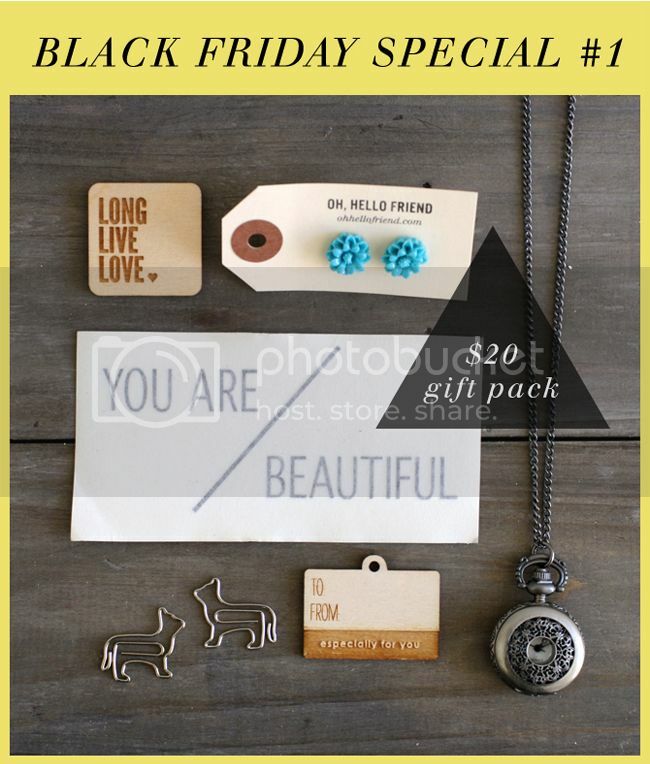 Pack #1 contents: Wood magnet, Wood tag, 2 animal paper clips, vinyl decal, earring studs, and a pocket watch necklace! Retails at $40! Buy it today for $20 w/free shipping! Pack #2 contents: 2 rolls of washi tape, 1 roll of paper tape, 5 cotton drawstring bags, 5 airmail envelopes, 5 mini pattern bags, 10 gift tags, 1 memo envelope pack, 1 date stamp, and 5 different gift tag embellishments (wood tag, paperclips, vintage keys & charms) This pack retails at $40! Buy it today for $20 w/free shipping! 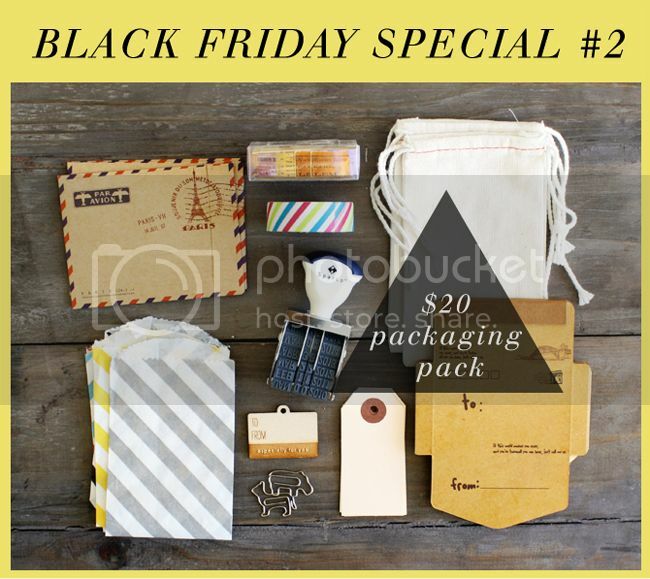 Click below to purchase your grab bag.